Peace with The PA Arabs Impossible! True PEACE cannot be achieved until one side is defeated and surrenders. 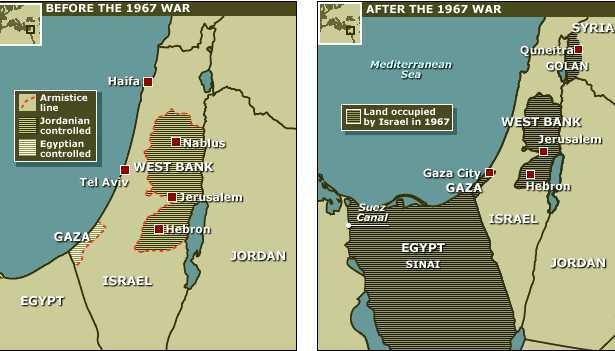 We could have made PEACE in June, 1967, by annexing all of the Land we liberated in the Six Days War, declared Jewish Israeli sovereignty and opened it all up for Jewish settlement. That was the time, since we had defeated Syria, Jordan and Egypt. But for some very fokokt reason, the Israeli Labor Party, which ruled -even though they had formed a "national unity government" with Herut- had delusions that our sworn enemies would agree to peace if we returned the Land. Because of that stupid and dangerous ideology/theory we suffer from Arab terrorism to this very day, forty-nine years after the war. Not only do we suffer from Arab terrorists here in Israel, but they are an inspiration and training ground for terrorism all over the world, such as the recent terror attack in Nice. That's because the terror attacks here are tolerated and rationalized by people all over the world, including Israel. Giving the Arabs "autonomy" and establishing the Palestinian Authority were terrible mistakes and have only encouraged and strengthened and legitimized terrorists. All this must stop for there to be peace. Peace cannot be negotiated! 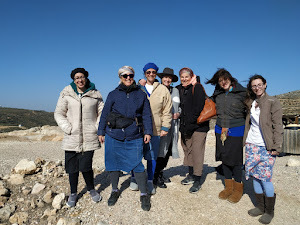 Chazal, our sages, tell us that timing is from Gd, and today at our local Shiloh Women's Shabbat class we were talking about this week's Torah Portion of the Week, Mattot. One of the topics/events in Parshat Mattot is the request of two of the tribes, Reuben and Gad, to receive land on the eastern bank of the Jordan River. This wasn't so simple, because the conquering/liberating of the entire Land wasn't yet complete, and priority was for the western bank of the Jordean. In the end the area east of the Jordan River was divided among Reuben, Gad and half of Menashe. Yes, the Jewish People had both sides of the Jordan. "The goal of Zionism is: Eretz Yisrael as a single state on both sides of the Jordan River." 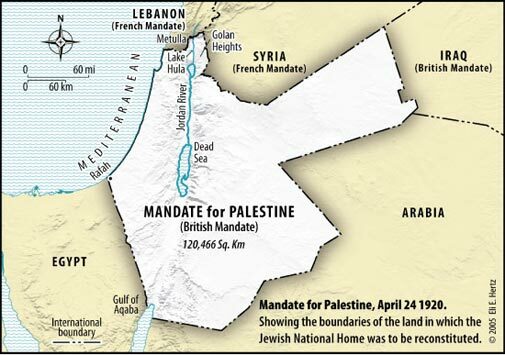 In the first years of the British Mandate in Eretz Yisrael, Jabotinsky supported collaboration with Great Britain, assuming that the latter will implement the mandate it supported in Balfour’s declaration. However, when Britain backed out from its support in the Zionist stand, Jabotinsky warned of a possible betrayal by the government of the British Mandate and advocated to rebel against it. In 1923 he resigned from the Executive of the Zionist Movement, in protest against the policy of Chaim Weizmann, which he felt was moderate towards the anti-Zionist stand taken by the British Mandate Government. The support given to Jabotinsky by youth from east and central Europe was the basis for the future Revisionist Movement. The Betari in me quickly made the connection. Jabotinsky's Yahrzeit, the anniversary of his death according to the Jewish Calendar is in the week of Parshat Mattot which introduces us to the concept of our sovereignty on both sides of the Jordan! Democrat Party Not for Jews! American Jewry is more makpid, strictly observant, when it comes to supporting the Democrats than it is for observing the Gd given mitzvot, commandments. 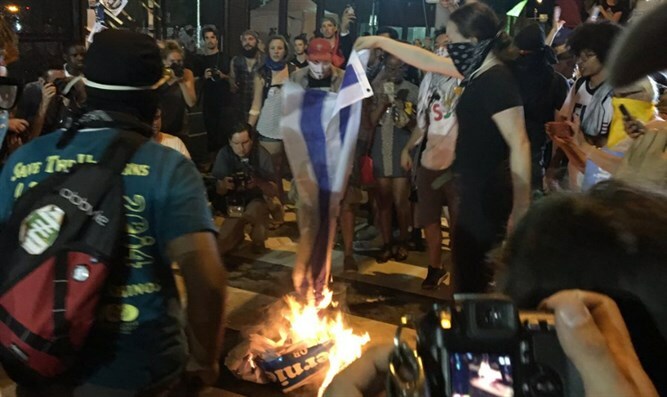 The percentage of American Jews who desist from eating the forbidden chametz on Passover is much lower than those who vote Democrat. For the longest time, I've been saying that this must change, and I don't mean to keep mitzvot and vote Democrat. I've been saying that the Democratic Party has not been good for Jews, nor is it truly good for the State of Israel. The long-time Jewish worship of the Democratic Party is based on the false premise, that U. S. President F.D. Roosevelt was pro-Jewish and saved the world by defeating the Nazis. He is also credited with ending the Great Depression, and that is another untruth. FDR was pushed into having the USA enter World War Two when American military was attacked and to save Britain and Europe. 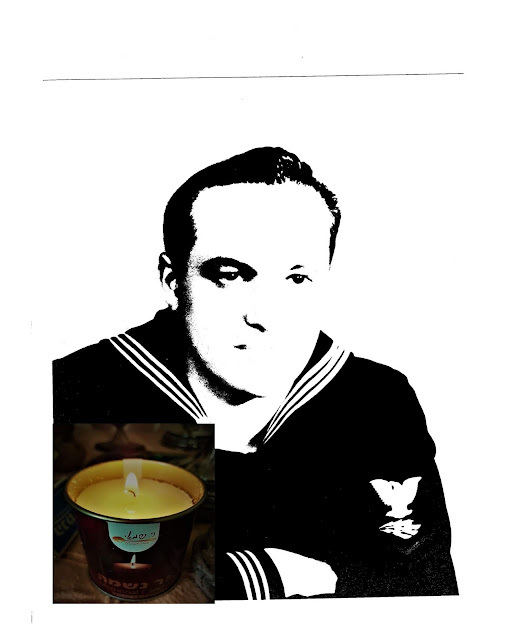 At no time was it a military, or diplomatic aim to stop the Nazi Holocaust of Jews. It was the economic needs of the American military that drastically improved the American economy, thereby bringing on the economic recovery and end of the Great Depression. Grass-root Republicans are much more pro-Israel than their equivalent Democrats. As many Israeli fundraisers know, the strongest pro-Israel Americans are the Evangelical Christians who vote Republican. Their pro-religion policies make being Jewish much easier, while the strongly secular Democrats are not comfortable with any religion. Apparently, the fact that ordinary Israelis have donated the money to cover the expenses to make the home of wounded IDF soldier Yehuda Yitzhak HaYisraeli suitable for his handicaps isn't totally solving the problem. Knesset committee convenes to hear claims Defense Ministry failed in handling case of severely wounded Gaza operation veteran. Davka today, I had the news on and there was a big report about how the government is building a brand new town for the Bedouin who have been squatting in the Negev. The Bedouin never bought the land; they just put up shacks wherever they want. And the Israeli Government is rewarding them with a fully approved town. Nu, something really stinks!! 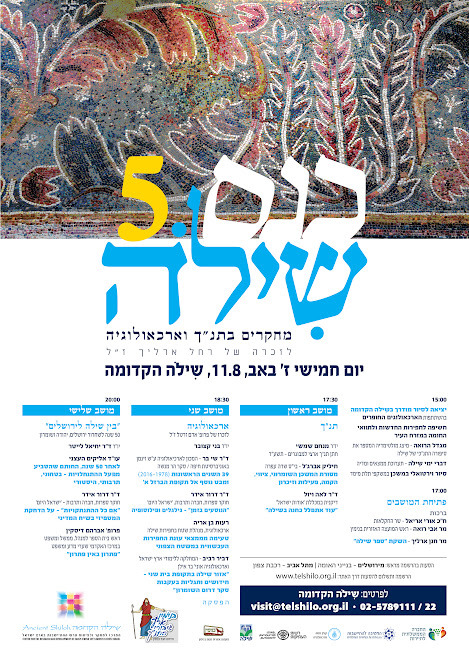 For anyone with a decent comprehension of spoken Hebrew, who is interested in Land of Israel Biblical archaeology, the annual Kenes Shiloh is something you really must try to attend. I've been to the past few and really enjoy it. And a week before that, on Friday the 1st of Av, August 5 at 8:15am, we will have our traditional Women's Rosh Chodesh Prayers at Shiloh Hakeduma, Tel Shiloh. Ladies, please make plans to come and tell your friends and family! There's lots more to do at Shiloh Hakeduma besides our monthly prayers, so I suggest that you contact them and visit. For more information call 02-994-4019. PS If you'd like to organize transportation, then contact Ben Levine of Awesome Tours. He has a supersized van, a bus that has room for fifteen 15 passengers comfortably. He'll help you arrange a truly inspiring Rosh Chodesh (or any day) in Shiloh. I'm almost finished sitting shiva for my brother. Just over two hours left. Soon I'll change out of my shiva "outfit," the same clothes I've been wearing since leaving for his funeral. Except for Shabbat, I've been wearing the very same outer clothes, skirt and two-layer top. The outer shirt was ripped at the funeral in one of the Jewish customs. When we sit shiva, weeklong Jewish mourning, one is supposed to ignore the usual dressing and grooming care. No hairbrushing or clean clothes. Also no bathing. Yes for sure, I'm looking forward to taking a shower, shampoo and putting on something clean! The night before my brother's funeral I was at my New York daughter's, and she took out a set of DVDs that my brother had made from our old home movies. We watched a couple of hours worth. She gave me the package, and I took them home. Yesterday I decided to put them on to watch and turned off the sound. The sound was just some musical accompaniment the "film to DVD" place had added. In the 1950's and early sixties, home movies were silent. So, in addition to the little album my eldest daughter had made before I left Israel for the funeral, I now had moving pictures of my brother and our family life way back when to show those who came to לנחם linachem, comfort me. These family movies were from about 1956-1960, if I'm not mistaken. There are additional DVDs that follow my parents and us well into the early 1980s when we moved to Shiloh. Here I am riding my bicycle near our last* Bell Park Gardens, Bayside, NY apartment, 67-62 Springfield Blvd. I moved the low chair I had been sitting in to a place I could also see the screen, and I'd talk about my brother and the world in which we grew up. One advantage of showing the home movies over the picture album, which people continued to look at especially since it included photos from his entire life up to a few weeks before my brother died, was because pretty much everyone in the room could see it at once. Few of those who came had any real idea of what it was like in a place like Bell Park Gardens, which was such an important formative part of our childhood. My brother was ten when we moved to Great Neck. Seeing us and it, in faded color, brought my stories to life far superior to even the most descriptive words. And for me it was very meaningful and comforting to see my family, parents, siblings, cousins, aunts, uncles, friends and the locations which loved and shaped us all. *We lived in three different apartments in Bell Park Gardens from December 1949- August 1962. As I find myself sitting shiva, in the Jewish mode of mourning for the second time in three months, I'd like to say a few things. First of all, the Halachot, Jewish Laws of Mourning are the most humane and psychologically brilliant of any society or religion. The mourner, who is a child of, spouse, sibling or parent of the dead should be cared for. The mourner is not supposed to shop, cook, clean (even bathe except for certain conditions) or entertain/serve food. Visitors and "helpers" are supposed to make sure the mourner has sufficient food etc. The word "shiva" means "seven," and, unless a Jewish Holiday interrupts the seven days, the mourner observes seven days of mourning/shiva. The mourner is expected to mourn. In Hebrew we use the term "comforter" for "shiva visitor." A "shiva visitor" is not a guest. The mourner is not supposed to host/feed/entertain. And the "shiva visitor" is not supposed to cheer up or entertain the mourner with his/her own stories, jokes, news reports etc. A "shiva visitor" is only supposed to speak when spoken to by the mourner. Yes, even if you find yourself rather " ignored,"this isn't a matter of your ego. Quite often the mourner will have pictures of the dead person to show those who came to comfort. It's generally acceptable to ask something about them, about the dead person. But if your question is ignored, don't press for an answer. Don't change the subject. Follow the lead of the mourner. Since the mourner isn't supposed to cook/shop/prepare food, it's common in Jewish communities to share and assign these responsibilities and also make sure that the mourner is not alone at home. When only one member of the family, or not all of the family, is sitting shiva, then other family members try to do the helping. This can be shared with the neighbors. Here in Shiloh, there's generally a neighbor in charge to make sure that each day and each meal is covered. When a large family is sitting shiva, then those two responsibilities are split. If you have any questions or additions, please add in the comments, thanks. For all of those who have repeated the awful mantra about Israel being "too dangerous" to go to, I'd like to remind you that the world is getting more and more dangerous. The terrorism that so many found as "only in Israel"has spread far and wide, in Europe and the United States and further afield. Read Ruthie Blum's article, Germany ‘Waking Up to New Reality’ Similar to Israel’s, Say Frightened Residents in Wake of Shooting, Machete, Suicide-Bombing Attacks by Mideast Refugees. 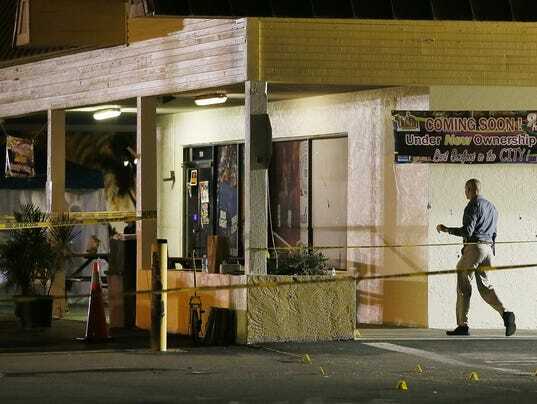 Besides the muslim terrorists, illegals aka refugees, there are the usual American lone shooter nutcases. For years I've been saying/writing that by making excuses for and accepting the Arab terrorism in Israel, it would just make the terrorists stronger and braver. That's why Arab/moslem terrorism is spreading all over the world. Since I'm sitting shiva for my brother, I do not have the time to write in any more detail. My journey from Reform to Orthodox Judaism has taken many unusual turns. How did a Reform rabbi become an Orthodox Jew? I need to begin by explaining how I became a Reform rabbi. My upbringing was totally in the Reform movement, but it was not what I would now to be consider typical of Reform Judaism. My family was active in a unique Reform congregation. It was a congregation where most of the members were deeply involved and where Jewish education was taken seriously. I went to Hebrew School three days a week and attended Friday evening services regularly. I went to [summer] camps run by the Reform movement and when I went to Israel for the first time, my Hebrew was quite good and I felt myself to be a fairly knowledgeable Jew. I remember the first time I went to an Orthodox synagogue in Israel. I decided very quickly that it was not for me. I spent an entire year in Jerusalem, never once questioning who I was or making any attempt (except for my one and only trip to a synagogue) to explore the possibility of Jewish life in Israel. I had many Israeli friends and basically lived as a secular Israeli. The same thing is true of my second year in Israel as a first-year rabbinic student at HUC-JIR. Again, I spent a whole year in Jerusalem, not once thinking that there was any reason to look at any other kind of Judaism. The truth is that I was firmly rooted in Reform and, based on my experience, felt that it was serious, it not more serious, than Orthodoxy. I believed that Orthodoxy was out of touch with the modern world and represented an attempt to freeze Jewish life in a moment of history, while Reform Jews were actively engaged in making choices that integrated Judaism with modern life. My wife and I moved to Brooklyn and lived on the border of Flatbush and Boro Park for two years, while I attended HUC-JIR in New York. To make a long story shorter, let’s say that it was pretty much the same as my two years in Jerusalem. Despite the fact that I did study a little Talmud with our neighbor's son (who was a yeshivah student) to prepare for class, I never found myself interested in any exploration of the Orthodox community in which we were living. I spent one week laying tefillin in an Orthodox synagogue (as a class assignment) and quickly gave it up. We went only to the Reform temple on Friday nights. So what changed things for me? After three more years in (Reform) rabbinical school in Cincinnati and four years in the graduate program, I was still a strong Reform Jew. After the birth of our second child, I decided to leave the Ph.D. program at HUC-JIR and took a position as a rabbi in a Reform congregation in Peoria, Illinois. Before I begin to recount the factors that caused me to look at things so differently, let me first say that the Jews in Peoria are wonderful people. They have been extremely nice to me and they are trying hard to keep Jewish life going in a small mid-western city, Also, I do not believe that the faults that I found with Reform Judaism are in any way unique to Peoria. What I observed there has been confirmed by surveys and by my conversations with colleagues in larger communities. Almost immediately, I discovered that only a tiny pro-portion of our (Reform) congregation had any kind of serious involvement with Judaism. Very few members even thought of themselves as religious Jews. Clearly they were looking for something, as they had joined -- but it was a minimalist Jewish identity that had mainly to do with having a Bar or Bat Mitzvah. Yom Kippur, Chanukah and the first night of Passover, most holidays were observed only by a small fraction of the congregation. We had to employ all kinds of gimmicks to get people to come. Usually it meant giving their kids a part in the service. And then there were the demographic issues. I became very disheartened when I saw the large numbers of inter-married couples and the high percentage of children who thought they were Jewish because of "patrilineal descent". but were not part of the Jewish People. Despite my Reform upbringing, I was passionately committed to the unique importance of the Jewish People and the State of Israel. When I realized how many of our congregants would not be accepted as Jews in Israel due to traditional Jewish laws, I was devastated. I started arguing with my colleagues that Reform was on a path to complete separation from the rest of the Jewish People and besides, with so few of them seriously committed to religious life, what kind of Jewish future would this be? After two years in Peoria, I saw the problem, but I didn't know what the solution could be. I can remember sitting in a restaurant with one of my colleagues, eating a treif [non-kosher] meal and vehemently warning him that Reform Judaism had no future in Klal Yisroel [the Jewish People as a whole] and that most Reform Jews would fade out of existence in the next few generations. The power of Torah study is truly remarkable. I continued to be interested in [Torah] learning and someone lent me some study tapes for Masechet Shabbat in the Mishnah. I sat down to start learning the Mishnayot. What I discovered had a tremendous impact on me. The issues of concern in the Mishnah seemed to be totally removed from anything I knew, or anything I had heard of. which is what the Mishnah was primarily discussing. For the first time, I began to question whether Reform was indeed a continuation of historical Judaism. As I read and studied more, I came to see that Reform was a dramatic break with the past, not the next step in its historical evolution as I had believed. But I still didn't know what the central difficult was until I read an article by Yeshayahu Leibowitz in which he argues that halachah [Torah Law] is not just an aspect of Judaism, but THE defining aspect. Many of my colleagues had called Reform "non-halachic Judaism:" I now knew that term to be an oxymoron. But what was I to do? Most people who become observant can still make a living -- but its not so easy when you're a Reform rabbi! We were keeping strictly kosher and I was Shomer Shabbat [Sabbath observant] as I could be. For two years I still continued to serve the Reform congregation. We sort of lived as Marranos: secretly I had become Orthodox, but very few people knew. I wanted to find a job where I could live openly as an Orthodox Jew, but I couldn't find anything suitable. I had started davening [praying] at the traditional congregation in Peoria and when they heard that I wanted to leave my Reform congregation, they asked me to become their rabbi. And that is what I have been doing for the past three years. My new congregation has been extremely warm and welcoming. They even had to overlook their by-laws to hire a rabbi with Reform semichah [rabbinical ordination]. Ever since I was a child, I have yearned to be a religious Jew and take part in building the Jewish future. With the help of the Chicago Torah Network, I have learned that the Orthodox community is not stuck in the past, but is vibrant and dynamic; and it's the only hope for the Jewish future. As I write this article, my wife and I are making the decision to move to Chicago so that I can learn [Torah] more intensely, and hope to be able to get Orthodox semichah [rabbinical ordination]. yeshivah and my two daughters are also making the adjustment. as the daughter of traditional Tunisian Jews who grew up in Israel. and more securely rooted in the Jewish past and in the Jewish future. and runs a home remodeling business with his wife, Pnina. Miracle in Jerusalem- Trust The "Gut Instinct"
Timeless: "A Club I Don’t Want to Join"
Arab Terror and The "Two State Solution"